Today I visited Montsegur, the mountain fastness that for over thirty years gave shelter to Cathar believers before it was confronted by the might of the French army and succumbed to siege in 1244. Over 220 Cathar perfects, those that had participated in the rite of consolamentum, were burnt at the stake. This included over twenty who had taken the rite in the last days of the siege knowing that it would lead to certain death. In a rare act of crusading clemency, all those who acknowledged orthodox Catholic beliefs could go free, even though they had defended the Cathar 'heretics'. This was presumably because everyone now knew the game was up. Languedoc was firmly in the hands of the northern French barons, serving a consolidating French monarch. There are many Jokes featuring Dominicans and Jesuits from which in the punchline the Js usually emerge triumphant. However, one Dominican rejoinder goes like this. It reminds the listener that the Dominicans were founded out of St Dominic responding to the emergence of the 'Cathar heresy' in Languedoc in the twelfth century. St Ignatius launched the Jesuits in response to the emergence of the Reformation. The punchline being, 'How many Cathars do you know'? (as opposed to Protestants)! This expression of (black) humour would have appalled one of the Cathars doughty supporters in the twentieth century, the philosopher, Simone Weil. She believed that if something was a great wrong, it remained so, unaltered by the passage of time. The crusades against the Cathars, and the subsequent invention of the Inquisition to eradicate them, was such a wrong for which the only response from the Catholic Church would be repentance. Today I arrived home to find a copy of Jules Pretty's new book, 'The Edge of Extinction: Travels with Enduring People in Vanishing Lands' had arrived. 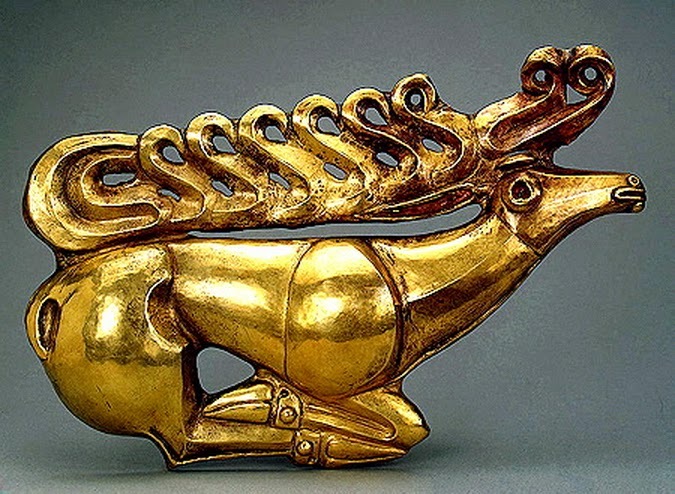 I had a (minor) hand in its making because I am the cause of one of its chapters by issuing Jules' invitation to Tuva that forms the basis of Chapter 4. I was working with WWF Russia thinking of ways that community development and poverty reduction could be woven into approaches to nature conservation. One of the great challenges of conservation is thinking how indigenous groups are in fact your best allies rather than enemies, as they are often perceived, being turned into 'conservation refugees' by governments keen to 'preserve wildlife' (as with the Bushman in Botswana expelled from national parks, imprisoned for 'poaching'). For the Nazi ideologue, Alfred Rosenberg, the problem in Irvin D. Yalom's imaginative novel, 'The Spinoza Problem', it was being a Jew and being admired by such luminaries of the Aryan race as Goethe. How could such a racial pure and supreme being as this spend a whole year with Spinoza's 'Ethics' in his pocket - a book that transformed his life, brought calm and cemented his religious scepticism? Either Spinoza had stolen his ideas from pure sources or, horror, Goethe was the victim of an insidious intellectual swindle. If this way of putting it sounds frankly bizarre, it is one of the many virtues of Yalom's book to make this clear - the ideology of Nazism was an extraordinary act of self enclosed fantasy with iron logics of its own, resistant to fact or reason. I came home early today having to be up at the crack and sat on the bench a while at the small church near my home, reading Yeats, watching the world and their dogs pass by. Wind in the trees providing the music, the alterations of air and feeling, allowing your sedentary poise not to turn to restlessness, allows your eyes, heart, mind to focus on the poems (in that order). For my money there are two English (language) poets of the first half of the twentieth century who truly matter and they are Yeats and Hardy. Both sought roots in communities that were threatened by the onrush of modernity and celebrated them (as they lamented their passing). Both saw them with clear eyes, neither are sentimental, and both looked for ways of resistance, Yeats more effectively than Hardy. "Dearest uncle, what ails you? "Dearest uncle, what ails you"? 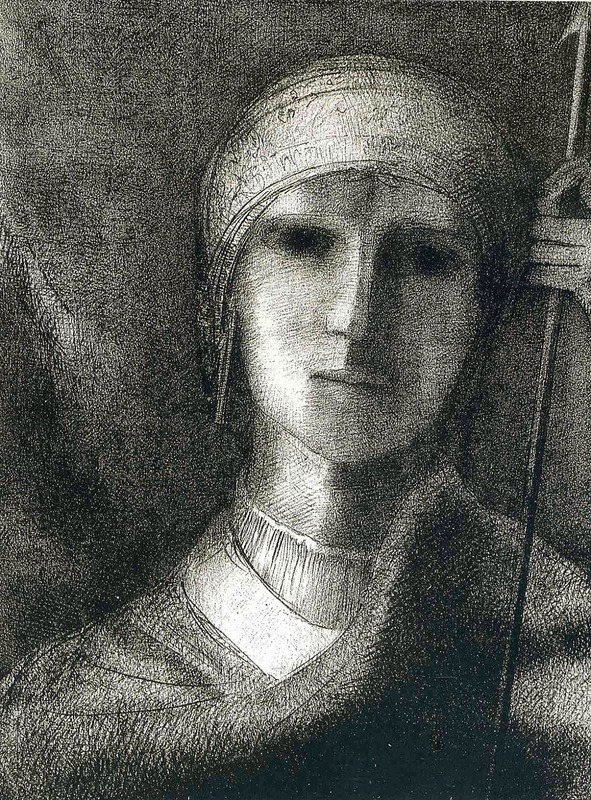 is the simple question that heals the Fisher king in Wolfram von Eschenbach's medieval romance, 'Parsifal'. It is such a simple and natural question to ask when you are confronted by a person reverberating with pain, whose decaying stench must be staunched with billowing incense. Yet it is a question that Parsifal failed to ask on his first visit to the Grail castle bound, as he believes himself to be, to his first mentor's advice. He leaves only to discover later what he has done. A discovery that sets him off on a wandering path of loss from which he eventually finds his way back and with a deepened self-knowledge is enabled to ask the redemptive question. General Patton was visibly anxious as the Second World War came to an end with no more Nazis to kill and physically relieved when he realised that there was a new Soviet enemy. Kant believed it was ingrained in human nature. Apparently sane, middle class children from sound backgrounds hasten to Syria and Iraq to join the Islamic State to perpetuate murderous mayhem in a perceived 'good cause'. What is this all about - this strange attraction of violence? Whatever it is about, there is obviously no simple solution, nothing is going to 'eradicate' it any time soon (whatever we may need to do, in the moment, to protect ourselves)? It appears to be something that at a macro level virtually everyone deplores (or participates in reluctantly) yet at a micro level - at the textural level of our lived lives - all too many hastily throw themselves into it. 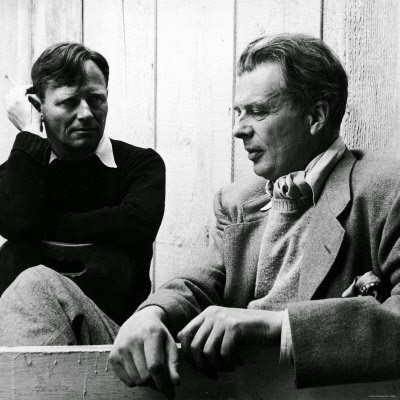 'The Divine Within: Selected Writings on Enlightenment' is a selection of essays and talks by Aldous Huxley originally printed in 'Vedanta and the West', the journal of the Vedanta Society of Southern California, whose editors included Christopher Isherwood (pictured here, left, with Huxley). They are elegant, lucid and readable, packed with memorable aphorisms. Occasionally Huxley adopts the poise of a Victorian pamphleteer earnest upon us adopting the right course but the dominant tone is of a compassionate man, embarked on a journey towards a deepening spiritual experience. This experience of ultimate reality is embodied in the life of certain saintly practitioners (of every major tradition) and is the standard by which we must all be judged. What matters is realisation and the loving life that flows from this. What matters is responding to our invitation to holiness, wholeness, an invitation that is open to all.